Vork is awesome. I believe it is better than CakePHP. Vork is much easier and lightweight than anything else! I love the raw-access to Mongo, and mvc's static properties! It is exciting to see such a highly usable and extendable MVC framework in action! Scalable Open source framework with good amount of documentation/help guides available for creating ground up applications from scratch in no time is the biggest PLUS - Thanks! Vork has helped me get a site up and running within days as opposed to weeks. I'm new to developing and vork has made it simple and easier than most other frameworks I've seen and used. I like the fact that Vork allows me to do most of what I need to build e-commerce websites for my clients. The clean URLs and MVC style are all great and common to all the other frameworks but Vork stands out by providing support for popular services like Google's and Amazon's. Keep up the good work! Ola! My front-end developer (with only a few months PHP experience) needed no instructions modifying our Vork-based app; on our past project based on CakePHP I had spent a significant amount of time coaching him on tech issues. Vork saves me hours of my business day that were formerly spent assisting my team trying to figure out proprietary conventions and quirks; the value of Vork's ease-of-use and straightforward naming convention cannot be beat! I greatly appriciate all the efforts and opportunities that Vork is giving to developers. They are pushing the boundaries of technologies by making this available. Vork is very easy to learn, fast to build websites, extendable and works fast. The code is clean and logical. I like that there are not 30 layers of abstraction between the page and the code. Holy smokes Vork performance is just blazing and I was able to start building a site within minutes of installation - other PHP frameworks took me weeks to learn. Vork is amazing, it gives me the tools I need to develop all types of web applications. 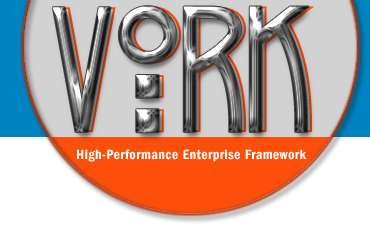 Regardless of how complicated or simple the task may be, Vork is the tool of choice for me!